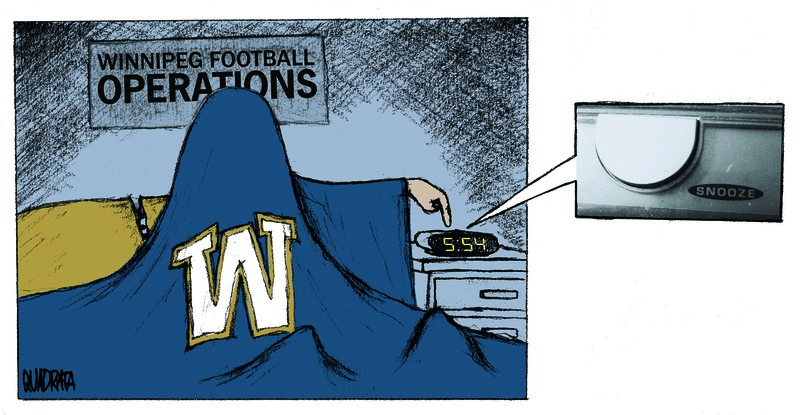 While the Bombers are all set to move into the new Investors Group Field on the University of Manitoba campus this summer, the Bombers’ front office has yet to make any significant off-season moves that might help put more butts in those extra seats. General Manager Joe Mack and company have sat on their hands thus far, as other teams beat them to the punch on numerous opportunities that could have helped to improve a team that finished last season with a record of 6-12 and did not make the playoffs. When a team misses the playoffs, especially in a league like the CFL where six out of the eight teams make it to the post-season, it is safe to say that changes need to be made to ensure it does not happen again in the proceeding season. Rebuilding is especially important with the team moving into a brand spanking new stadium; a revamped, competetive team would give fans paying higher ticket prices an incentive to come out to the stadium. Nobody really wants to see a crappy football team taking the field week after week, but the front office seems to think that that’s a perfectly fine strategy. This off-season has seen the Bombers lose two defensive starters, as defensive end Jason Vega departed for the NFL and Marcellus Bowman headed for greener pastures in Hamilton just days after Joe Mack said that they would work out a deal with the linebacker. What did the Bombers do to replace these players? They added a backup offensive lineman and Canadian safety Cauchy Muamba, the brother of current Bomber linebacker Henoc Muamba. Safety is a position where the Bombers already had a star Canadian player in Ian Logan, so the acquisition was questionable. Meanwhile, a number of viable free agents got scooped up by other teams for positions that the Bombers could have benefitted from a significant upgrade in. Meanwhile, almost every team made splashes in the off-season to improve their squads, as division rivals the Montreal Alouettes, Hamilton Tiger-Cats, and the defending Grey Cup Champion Toronto Argonauts took steps to improve their clubs. The Bombers have either remained at the status quo, or have actually gotten worse, depending on your point of view. 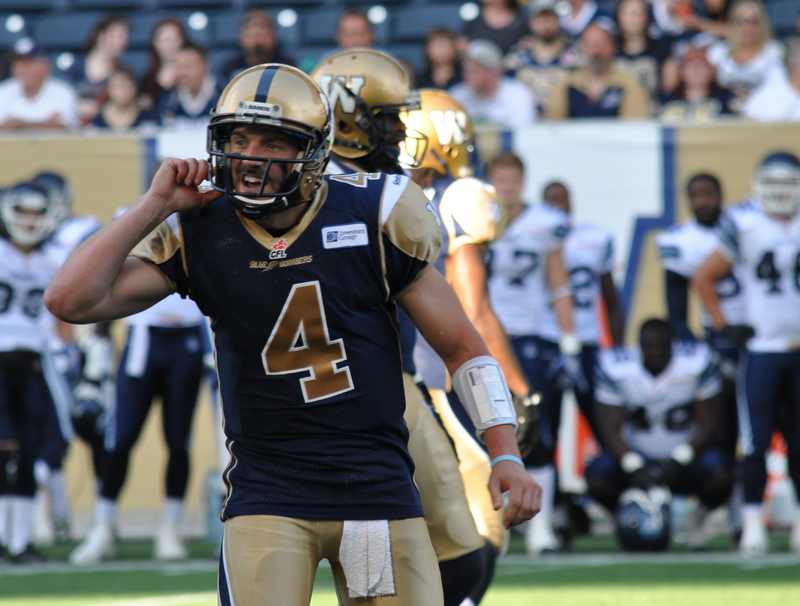 The position of quarterback was a glaring weakness for the Bombers last year, and for a position as important as QB, it seemed only logical that the Bombers would try to improve there. The big target this off-season for a team looking for a QB was B.C. Lions backup Mike Reilly. The Bombers were reportedly interested, but not enough to outbid Edmonton, who obtained the QB via trade. Thus the Bombers remain with an injury-prone Buck Pierce, uninspiring Joey Elliott and Alex Brink, and the untested Justin Goltz. None of those names put much hope in the hearts of Bomber fans that this season will be any better. Sure, the new Investors Group Field will be nice, with its bigger seats, cupholders, and state-of-the-art video screens. But all of that stuff will only satisfy Bomber fans for so long before, once again, they demand that the team actually try to win their first Grey Cup since 1990.